They are easy to stick into the ground (or planters) as well, so once you are done, they are fun to decorate with! 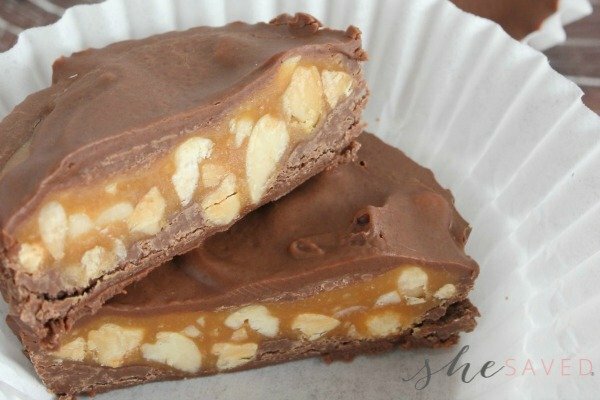 If you’re making several of these at once, you may want to glue them together and let them dry for a few hours or overnight. 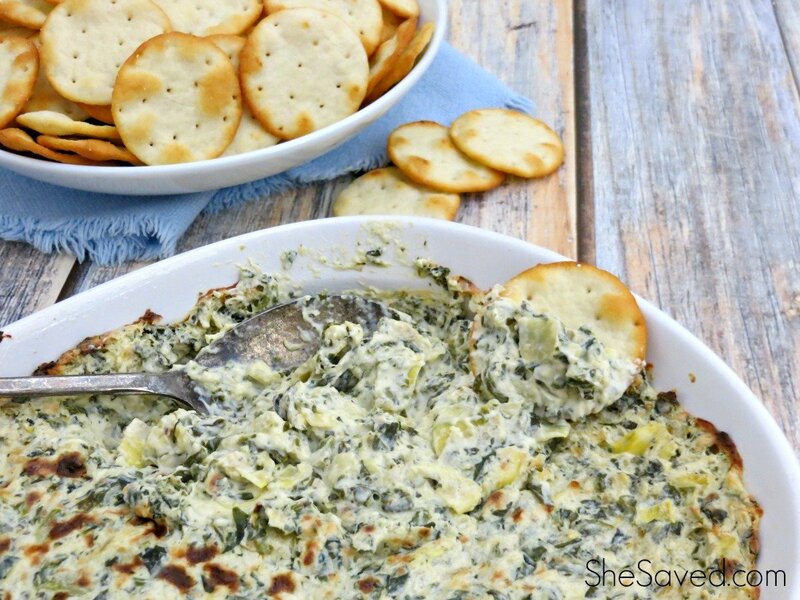 You may also want to add the final stick if you’re going to make these ahead of time. Line up 9 popsicle sticks. Take another stick and glue it on the right side of the sticks as shown. Let dry. 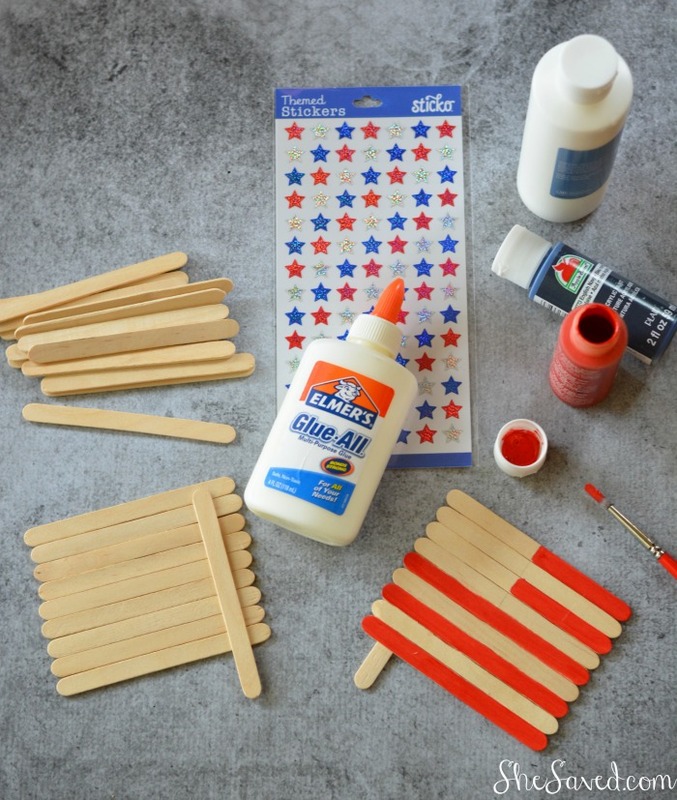 Flip over the flag and using a pencil, section off about 1/3 of the left side of the top four sticks to create the blue boundary for the stars. 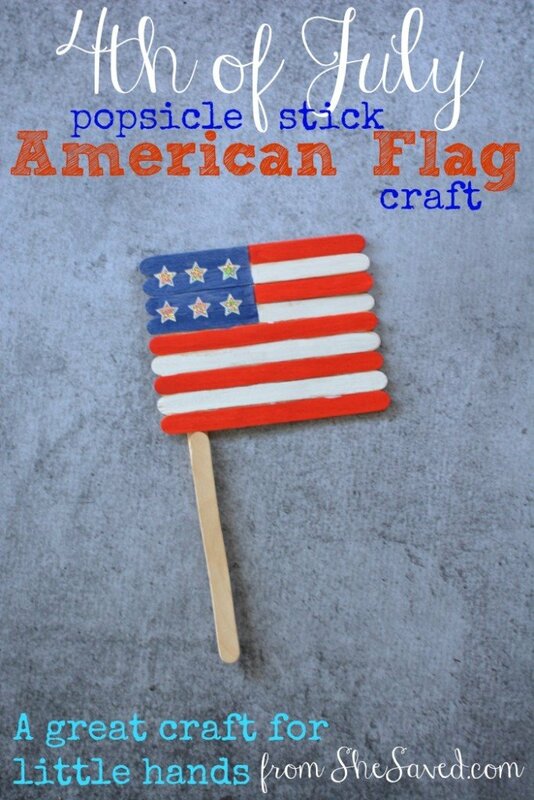 Paint the flag using red, white and blue acrylic paint. Let dry. Add star stickers. Glue handle onto the existing stick. Let dry and wave with pride! 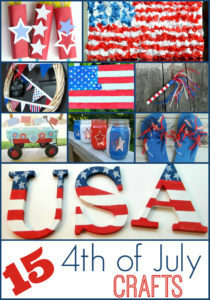 Looking for more 4th of July fun? 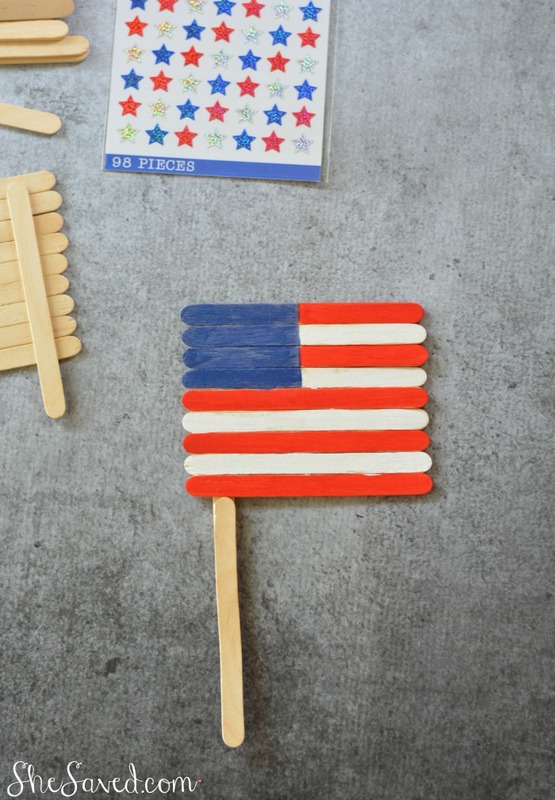 Check out my round up of 15 crafts to do with the kids, some great red, white and blue ideas! !